Ms. Orcutt is co-owner of the Schoolhouse Gallery in Kingfield, Maine and is chair of Kingfield’s Village Enhancement Committee, a Board member of the Maine Arts Commission, chair of Maine Huts & Trails’ Long Range Planning Committee and a founding member of the High Peaks Cultural Coalition. 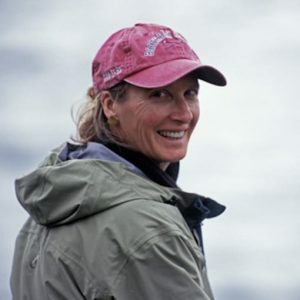 Ms. Orcutt is a Maine licensed landscape architect and, with her architect husband John, co-founded Orcutt Associates and, subsequently, Orcutt Consulting in Portland, Yarmouth and Kingfield, Maine. A graduate of Harvard University’s Graduate School of Design (1982) and SUNY Syracuse (1978), Ms. Orcutt was a Senior Associate at Sasaki Associates in Watertown, MA and a staff landscape architect for The Architects Collaborative (TAC) in Cambridge, MA.